Dundee have lost their propensity to panic under new boss Neil McCann, according to forward Craig Wighton. The Dark Blues had lost seven Ladbrokes Premiership matches on the trot and dropped into the relegation play-off spot before Paul Hartley was replaced by the former Dens Park winger, who had latterly been working as television pundit. Two wins and a draw have followed which has boosted the Tayside club's survival hopes as they sit five points ahead of second-bottom Hamilton with two games remaining - the first against Inverness on Tuesday night. Dundee fell behind to Ross County at Dens Park on Saturday after only four minutes to a Liam Boyce goal but the home side kept their nerve and responded with a Darren O'Dea penalty in the 76th minute, which Wighton insists is evidence of the recent turnaround at the club on and off the park. The 19-year-old said: "When we were on that run and went a goal down, the heads went down and the fans were rightly frustrated. "But at the weekend when we went a goal down, nobody panicked and everyone felt we would come back into the game and obviously we've done that and probably should have gone on to win it. "It is confidence. The manager has given us belief and put confidence in us and as a squad everyone has come together and you can see that in the performances." O'Dea's enthusiastic celebrations as he dived into the Dundee fans following his leveller earned the captain a yellow card. However, Wighton believes it revealed the unity at the club. He said: "I think that shows how much it means to everyone. The fans were hurting when we were on that run and the players hurt as well, it wasn't nice when you just can't get that win or nothing is going for you. "Since the new manager has come in the attitude has changed and we have got that belief and you can see that in performances. "I don't think anyone can fault the attitude and effort over the last three games. "On our day I think we can beat every team because we have a good group of players here. "We have looked solid at the back and going forward we have players who can hurt teams. "We will go into that game (against Inverness) the way we have the last three and (look to) put on a good performance again." Meanwhile, Inverness manager Richie Foran vowed his players would fight to the end despite lacking that very quality at times during the season. 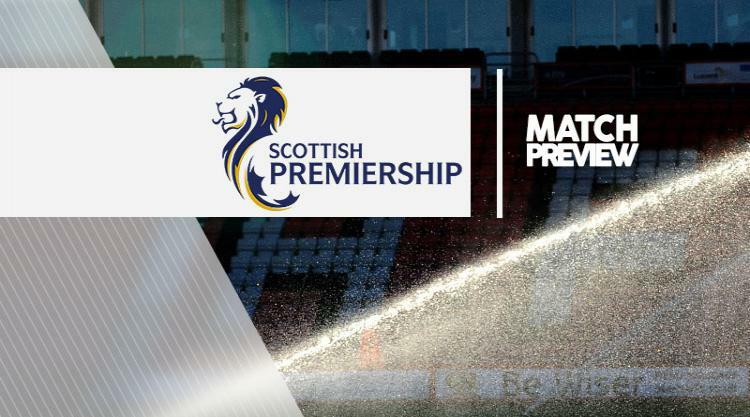 The Ladbrokes Premiership bottom club have seen their fate slip out of their hands but they are preparing to give everything at Dundee on Wednesday night. When asked what he wanted to see from his players, Foran said: "Hunger, desire, passion and pride, like it has been the last few weeks. The club and the supporters deserve to see that. Maybe there hasn't been enough of that throughout this season. "There has been some good football played but maybe not enough of the passion and the pride and the fight, and working back (on) the park." Foran added: "Dundee have done very well and got a big boost, which normally happens when a new manager comes in. They're a good side with a few ex-players, but we're very confident going there. "We have had some positive sessions. They are full of hunger, full of fight, full of good attitudes. We have a lot of fighters in there and we'll keep fighting to the end." Inverness are hopeful that Alex Fisher will be fit after he suffered mild concussion during Saturday's defeat by Kilmarnock. Goalkeeper Owain Fon Williams (groin) remains out along with long-term absentees Carl Tremarco, Aaron Doran and Josh Meekings (all knee).